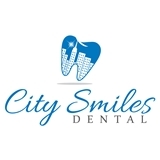 City Smiles Dental (New York) - Book Appointment Online! At City Smiles Dental, we value our patient relationships, making it our priority to deliver gentle, compassionate care that you deserve from a dentist in New York. We work hard to make you feel at ease by providing exceptional patient care in a relaxed, convenient atmosphere. We strive to develop lifelong relationships with our patients by combining the latest dental technology with a professional and compassionate staff. The result is a beautiful, healthy smile that lasts a lifetime. Please visit our website for more information about our office services and special office promotions. I felt very comfortable asking questions, and she was really patient to answer them all. Her staff was really helpful and kind, the office was clean and modern. I will def recommend her! Dr. Song was great. She was direct, professional, and efficient. She replaced a missing filling quickly with no pain. I highly recommend her. Dr.Grecco was very friendly and professional. Out of all my years of going to the dentist I have never had an exam like hers. I felt good ,safe ,and confindent that she had my best interest at hand. Overall I would recommend her to everybody I know.